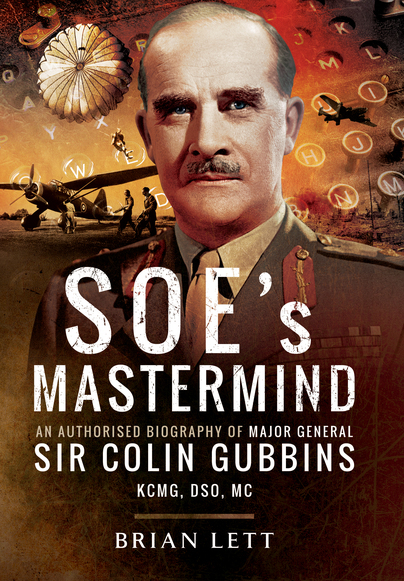 You'll be £25.00 closer to your next £10.00 credit when you purchase SOE's Mastermind. What's this? For those with even a passing interest in the Second World War, the name Colin Gubbins is synonymous with the Special Operations Executive (SOE). This is not surprising as from its creation in late 1940 at Prime Minister Winston Churchill’s command ‘to set Europe ablaze’, Gubbins was the driving force behind SOE. Over the next four years as, first, Operations and Training Director (codename M) and, from 1943, its Commander (CD) he masterminded every aspect of its worldwide covert operations. Remarkably this is the first full biography of the man whose contribution to victory ranks in the premier league. The Author’s research and access to family archives reveal the experiences in The Great War and later in Russia, Ireland, Poland and as Head of British Resistance that made Gubbins such a pivotal and influential wartime figure. The result is a fascinating biography that reveals as much about SOE’s extraordinary activities as it does about the man who inspired and commanded them. Long awaited has been a biography to examine the career and contribution to victory of Major General Sir Colin Gubbins KCMG, DSO, MC. Lett's volume on Gubbins clearly benefits from the approval of the Gubbin's family, and is written in a more traditional style than some modern biographies. ... This is an admirable book that reads as an adventure story, which of course it is, of a talented, brave man who sacrificed what may well have been a brilliant military career to operate below the radar, retiring on the pension of a colonel when the author considers Gubbins could have risen to the top of the army. Carefully researched with the full cooperation of the family and clearly written and presented. Excellent.